Take action below to demand that the BLM revise its Draft EA to withdraw the 12 parcels that are located within the Antelope Valley to protect wild horses. 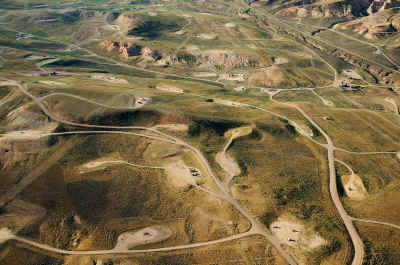 The Bureau of Land Management's (BLM's) Elko District in Nevada is asking for public comments on its draft Environmental Assessment (EA) for 24 parcels that have been nominated for auction for gas and oil development leases. Twelve of the parcels reside within the Antelope Valley Herd Management Area (HMA), which is currently home to over 700 wild horses. The BLM routinely excludes public lands from leasing for gas/oil exploration or production based on a multitude of reasons ranging from sensitive animal and plant species to livestock grazing interests. It's time our federally-protected wild horses get equal protection. The BLM acknowledges that if these parcels in the HMA are used for gas and oil exploration or production that the "[i]ncreased human and motorized activity could disrupt and displace wild horses." In addition, hydraulic fracturing ("fracking") used to extract oil and natural gas from beneath the ground, consumes large volumes of water. In these times of severe drought, when the BLM is talking about the need to remove even more horses from the range due to lack of water and forage, HMAs must be protected from these giant consumers of scarce water resources. Please take action below to demand that the BLM revise its Draft EA to withdraw the 12 parcels that are located within the Antelope Valley HMA.